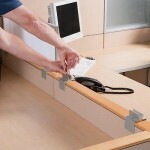 Obex Panel Extenders take less than 5 minutes to install. The only tool required is an allen wrench that we provide. 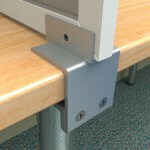 Our cubicle extenders are equipped with universal adjustable brackets. 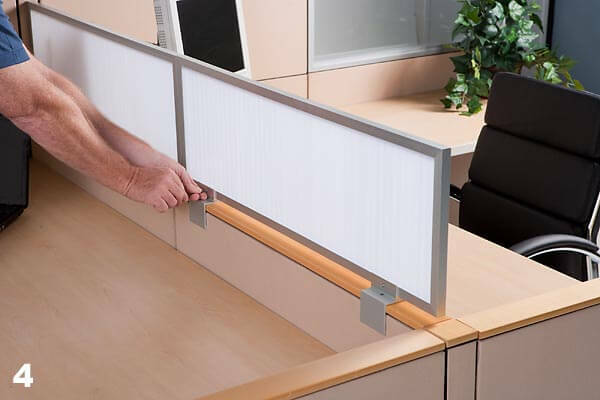 Our standard adjustable bracket fits panels from 1.5″ thick to 3″ thick and our large adjustable bracket fits panels from 3″ to 3.75″ thick. 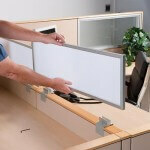 Obex Desk Mount Panels take less than 5 minutes to install. 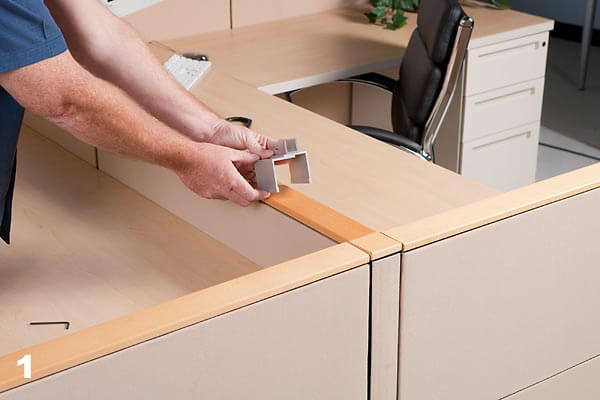 The only tool required is an allen wrench that we provide. 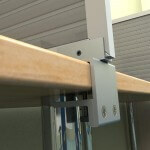 Simply Install clamp around edge of desk and tighten thumb screw on the bottom of the bracket. Then set the tile in the upper channel and tighten the set screw with the provided allen wrench. With today’s high cost for office space, workplaces are often designed to maximize space by reducing the square footage allocated to each employee. 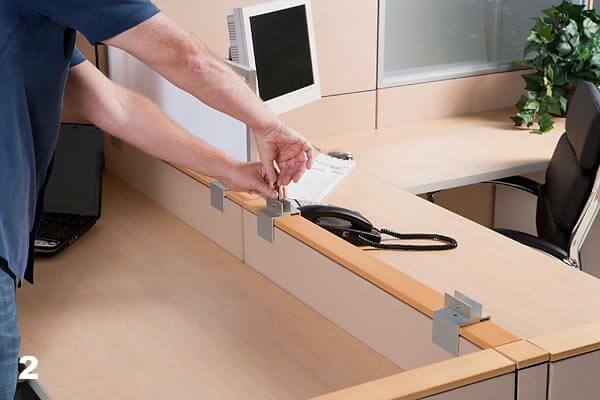 When workstations are small and close together, it is easy for noise to become a problem. 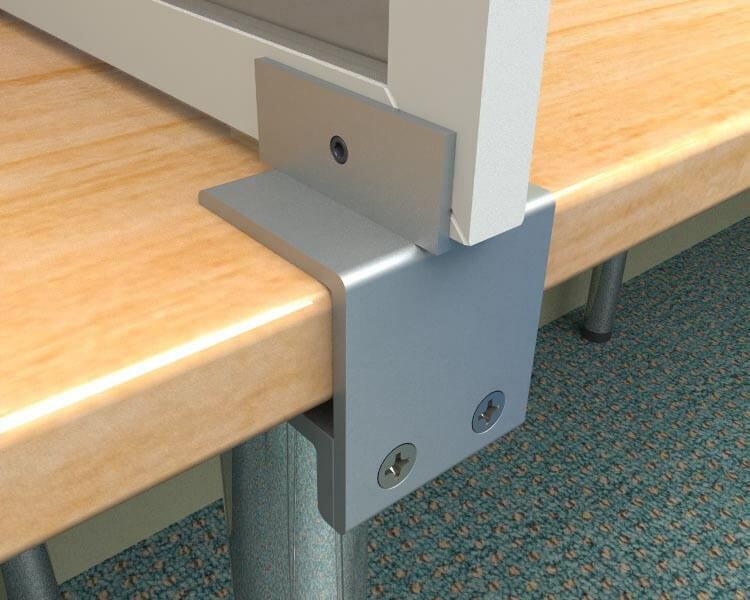 Cubicle extenders that increase the height of existing panels serve as a barrier to help reduce noise levels. The materials used and the structure of a panel both affect how well it blocks sound. The fabric covering our acoustical tile is a fireproof recycled textile. We use a recycled fiberboard called Soundboard for the tiles. The material combines acoustic control properties that absorb and reflect sound for excellent noise dampening. 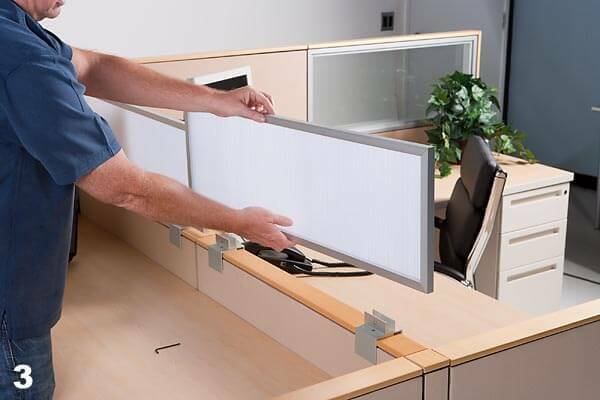 Our OBEX acoustical tiles panels perform almost 50% better than non-acoustic panels for reducing sound transfer. (see diagram to right for NRC and STC rating information). The Noise Reduction Coefficient determines how much sound a given material can absorb. Such materials are typically tested for mid-range frequencies (where the pitch of the human voice is located). The rating system is on a scale from 0 to 1 in ten increments. The closer the rating is to 1, the more effective it is at reducing sound. 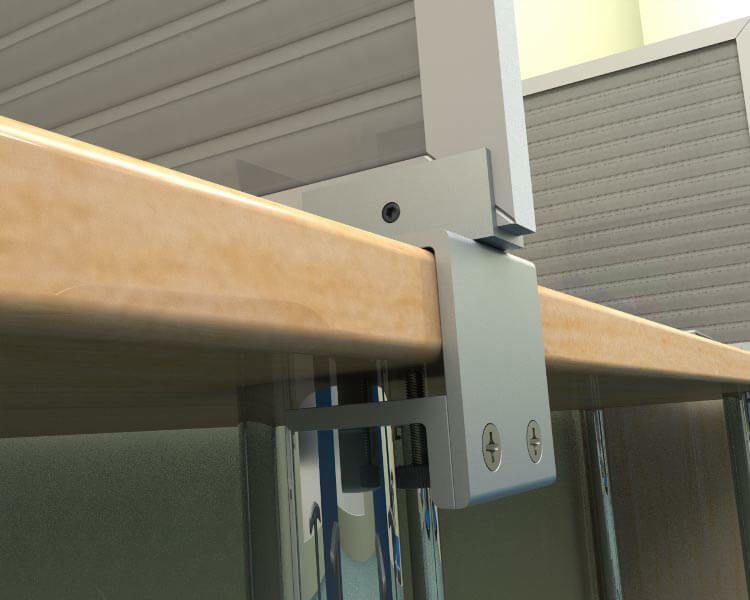 A higher NRC rating keeps the noise level within a cubicle low because the sound isn’t bouncing back into the interior of the cubicle.